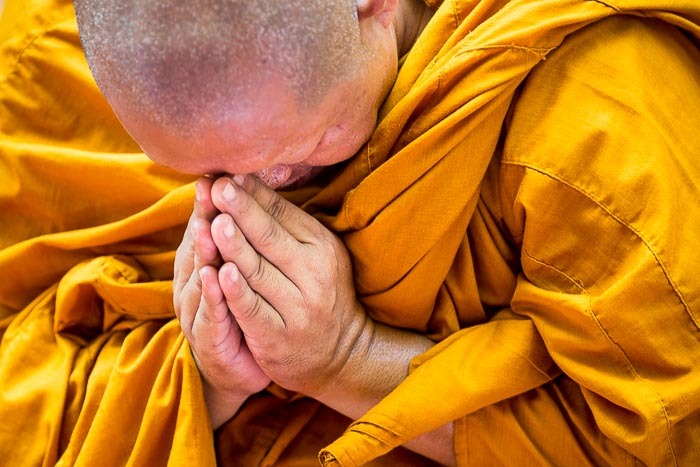 A monk prays for Bhumibol Adulyadej, the King of Thailand, during a service for His Majesty at Siriraj Hospital. Bhumibol Adulyadej, the King of Thailand, is back in Siriraj Hospital. He was taken to the hospital last week, while we were in Malaysia. He had surgery to remove his gall bladder. According to officials in the Palace he is doing well. 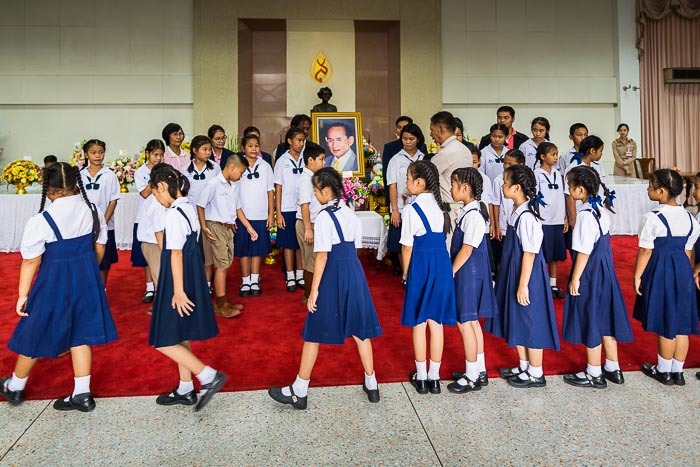 School children line up for a class picture with a portrait of the King in the lobby of the hospital. The King is the longest serving monarch in Thai history and the longest serving head of state in the world right now. He came to the throne in 1946. He is the only Monarch most Thais have known. He's been in and out of the hospital since I've been coming to Thailand regularly in 2009. He lived at Siriraj more or less full time from 2009 until 2013, when he (and the Queen) moved to the Summer Palace in Hua Hin. His picture hangs in almost every home and business in Thailand and he is revered by most Thais. It's hard to explain his role to people not familiar with Thailand. He is a constitutional monarch (Thailand's absolute monarchy ended with a coup in 1932) with limited official powers. But his unofficial influence is profound. For years, through military coups, anti-government insurgencies and elected governments that came and went, the Monarchy was a constant in the lives of Thais. Women pray for the King in the lobby of the hospital. I'm hoping His Majesty is on the road to recovery and is soon able to return to the Summer Palace. There are more photos of people praying for His Majesty in my archive or available from ZUMA Press.